← What is CINE HIGH? Ooohh, yeah, it’s the big day. 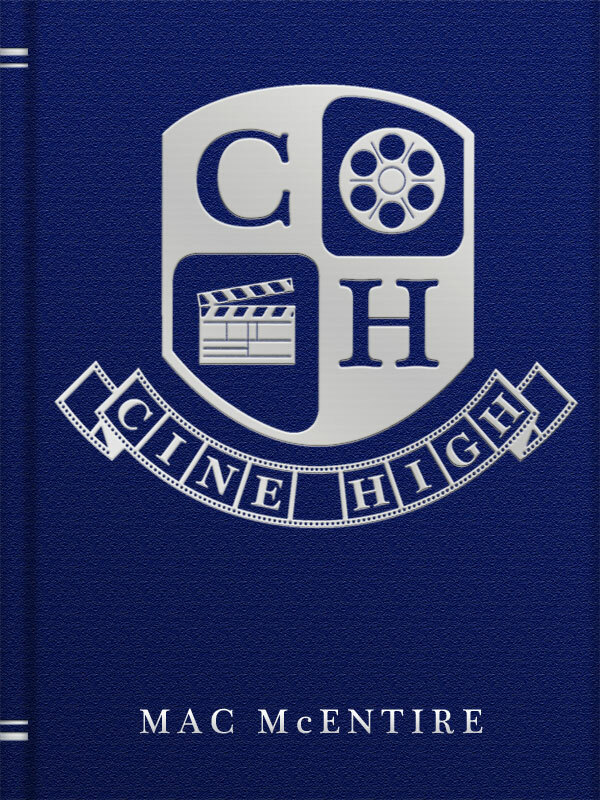 CINE HIGH is now available on the Kindle. It’s 99 cents. That’s one-ninth the cost of a BATTLESHIP ticket. Jack“Joke” McDee cares more about making his classmates laugh than his schoolwork, and his grades show it. On the last week of eighth grade, after Joke does his“clumsy juggler” act on the hood of the principal’s car, he’s nearly run over by a strange girl with a pink motorcycle. She tells him the truth, that he’s not human. He’s the living embodiment of the genre of comedy. The girl takes Joke for a ride, transporting him to a strange high school, Cine High, where tough kids Action and Scifi have abducted the teachers and barricaded all the doors. Action and Scifi plan to take over all of entertainment once they graduate, and they’re holding the school hostage until all the other students swear loyalty to them. Only one other student has the numbers to fight back, Horror. To convince Horror to join his side, Joke journeys from one end of the school to the other throughout the day. The whole time, he wonders, is comedy really the most powerful genre? CINE HIGH has been an experiment from the beginning. First it was a Twitter novel, and now as an ebook. It’s light, it’s funny, it’s exciting. So everyone spread the word, and leave one of those cheesy Amazon reviews while you’re at it. Remember, WE ARE THE MEDIA. This entry was posted in Cine High, Uncategorized. Bookmark the permalink.